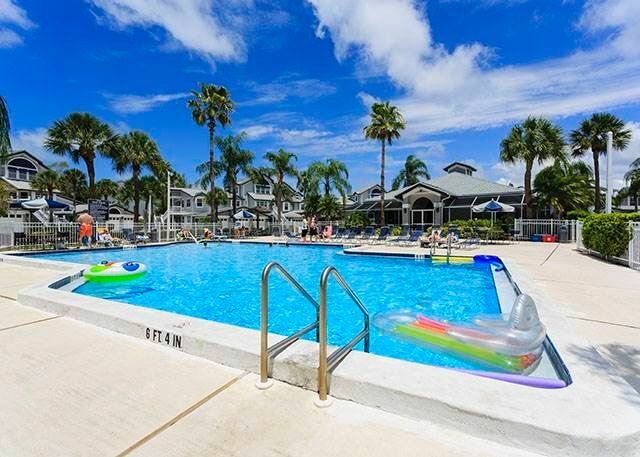 Just steps from the bay, our newly remodeled condo in a gated Key West-style community is the perfect destination for your Siesta Key vacation. 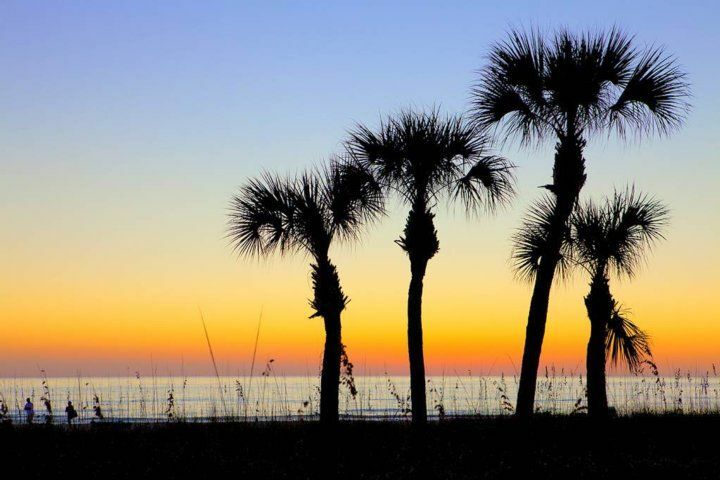 With resort amenities and the ideal location for beach and bay access, Gulf and Bay Bayside is irresistible! Please note, there is a 1-week minimum stay. 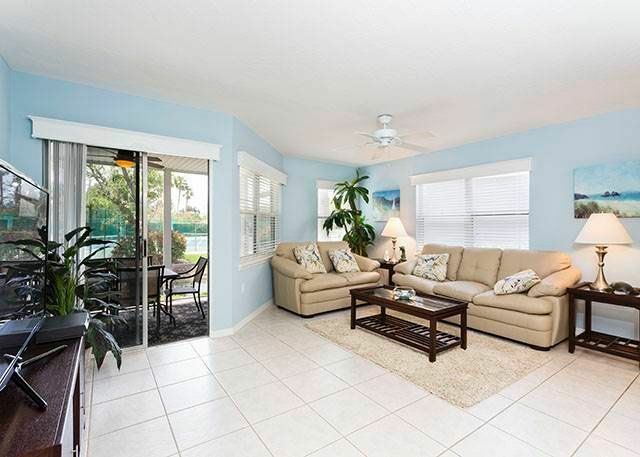 Relax in the large 11 x 16-foot lanai just off the living room at Gulf and Bay Bayside. 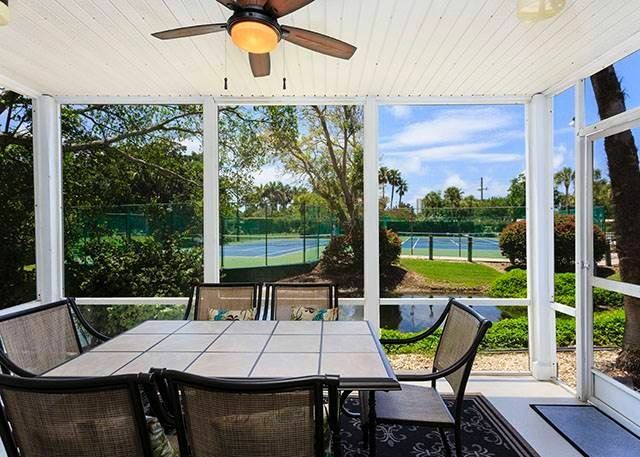 Covered for protection from the hottest midday sun, it is open on 3 sides, with balmy breezes and great views of a creek and the community tennis courts. We've placed a brand-new table and chairs here for al fresco dining, card tournaments, and laptop use. You have free WiFi at the condo, so bring your smartphone out here and update your social media while watching egrets and cranes stop by to visit the creek. When it's time to go indoors, bask in the comfort of the spacious living area, with tiled flooring that feels so good on hot feet, brand-new leather love seat and couch (that unfolds into a queen-sized bed), and huge HDTV with cable and DVD player. Large windows and plenty of open space give this room great breath-ability -- and there's lots of space for your whole group to stretch out and get comfortable. 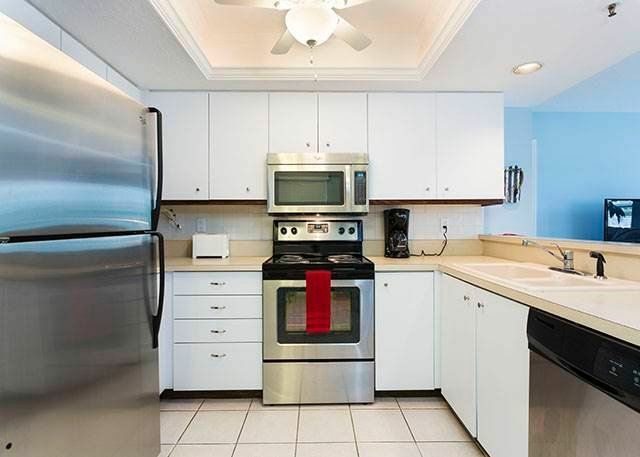 We mentioned al fresco dining out on the lanai, and the place to whip up those delicious meals is the fully appointed kitchen at Gulf and Bay Bayside. 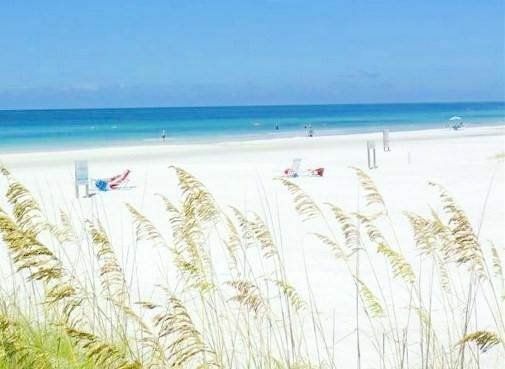 Even if you like to dine out during vacation (and Siesta Key has some absolutely terrific restaurants you must try! ), you'll love bringing home the day's fresh catch and cooking it using the new stainless steel appliances in our kitchen. We have plenty of cookware, dishes, and glasses, too -- enough for you to make and serve a feast without bringing anything to the party but the groceries! Dine at the sun-splashed round table in the corner of the kitchen, the handy breakfast bar dividing the kitchen from the living area (you can watch TV from there! 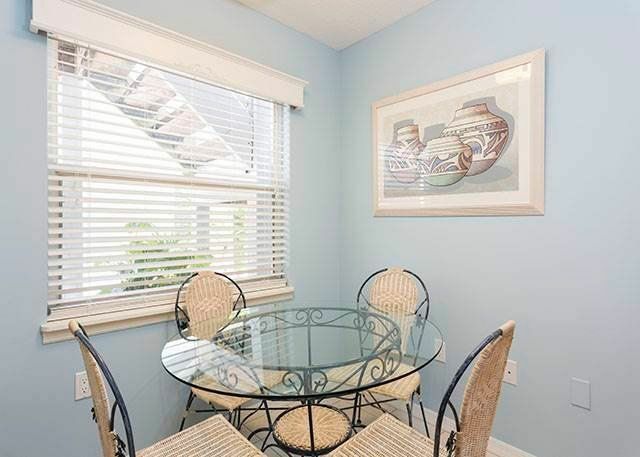 ), or on the lanai. 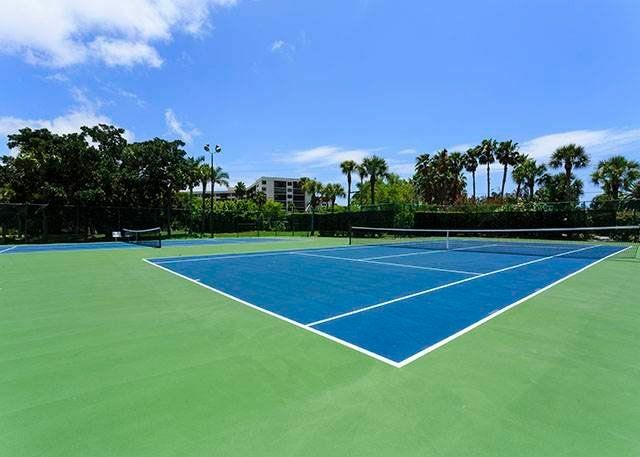 There are plenty of spaces to entertain at Gulf and Bay Bayside, as well as to indulge your group's chosen activities, from board games to puzzles, computers to journaling! 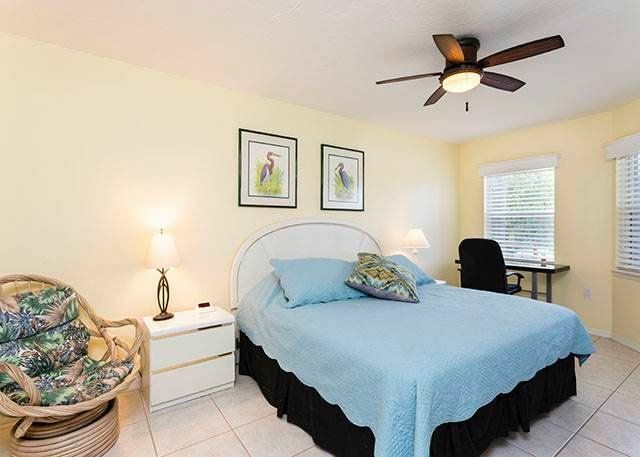 The living and dining areas are well appointed, but the real showplace of our condo is the master suite. 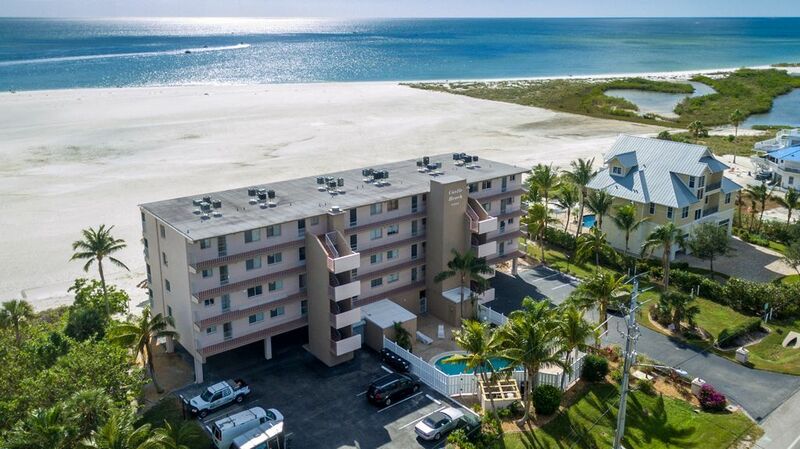 No matter how much fun you're having each day on Siesta Key, you'll feel a sneaky longing for this ultra-luxe, comfortable haven! It's a great place to recharge your batteries each night, featuring a king-sized bed, Papasan chair, big TV, and desk. Sunny yellow walls, soft lighting, big windows -- they all work together to create the perfect ambiance for a great night's sleep every time. The en-suite bath is a pleasure as well. 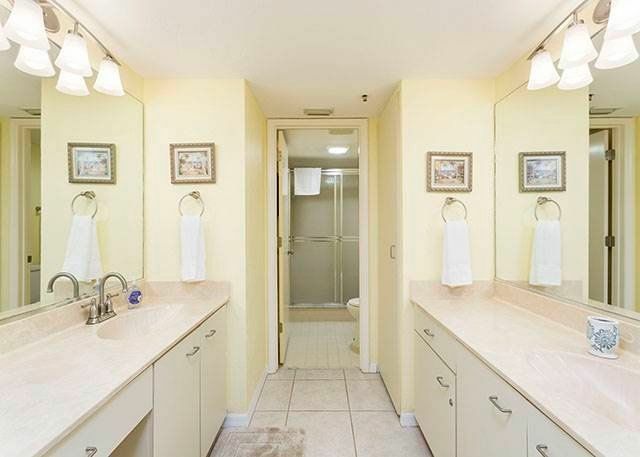 The powder room is separate, with 2 vanities and more counter space than you could ask for. There's a sleek new walk-in shower, plus a luxurious walk-in closet. Perfect for two people trying to get ready at the same time in the morning! 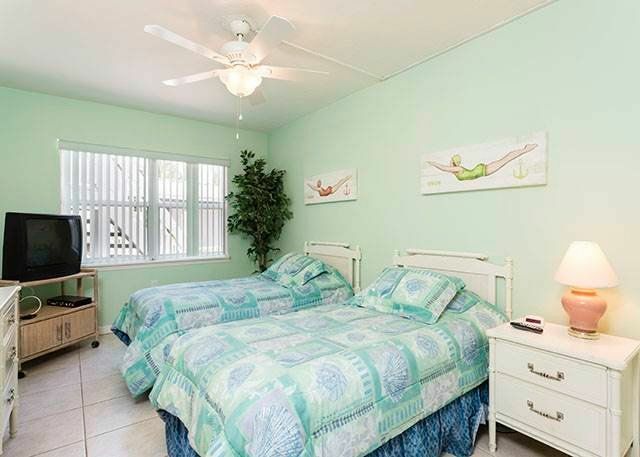 The 2nd bedroom is ideal for grandparents, children, or friends traveling with you. 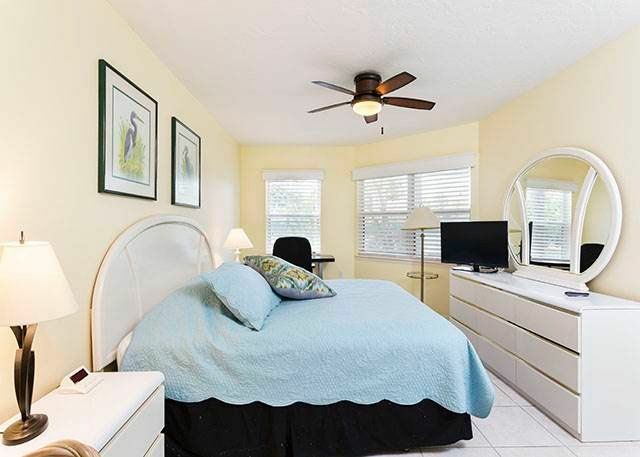 Two twin-sized beds face a large TV, with a giant window and cool tiled floor. 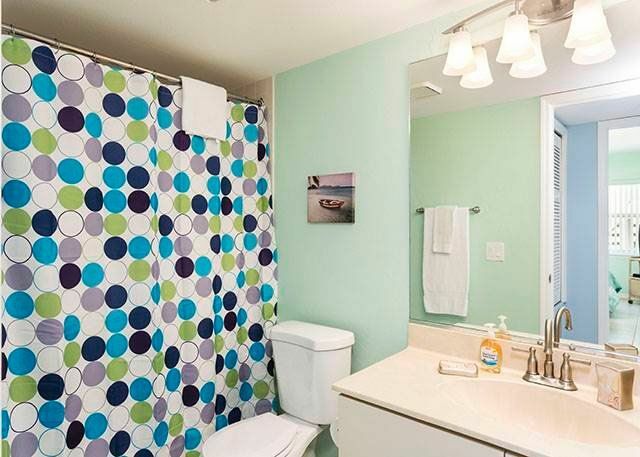 This room shares a bathroom (with both tub and shower option) with the living area. 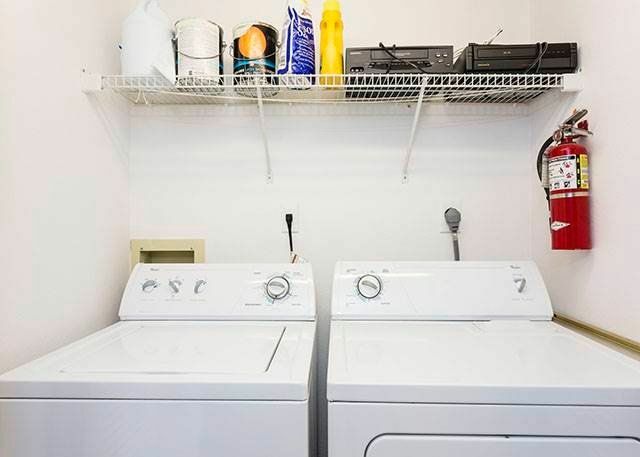 And our utility room has a washer and dryer for your convenience -- no draping wet beach towels and swimsuits everywhere in the hope that they'll somehow dry out before the kids demand to go back in the water! At Gulf and Bay Bayside, all the linens and towels you need for every bed and bath are provided, including those for the sleeper sofa. You'll find more than enough pillows and blankets to keep everyone snug and warm. And should you tire of the glorious beaches and bay, the Guy and Bay community has plenty to keep you busy. 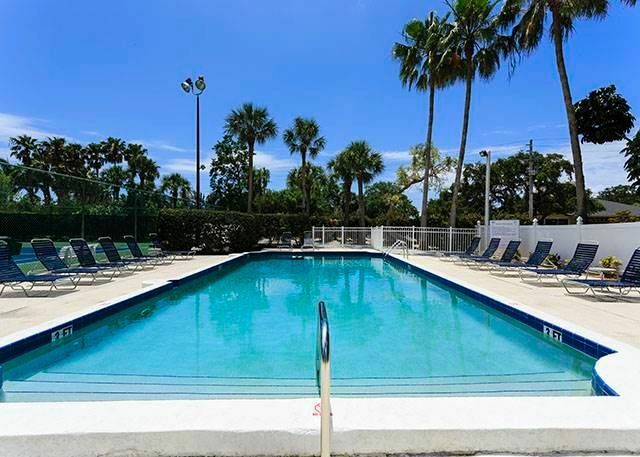 Two heated swimming pools -- one for laps, one for family fun -- are within a short hop of our condo, and the tennis courts just outside our door are lighted and beautifully maintained. 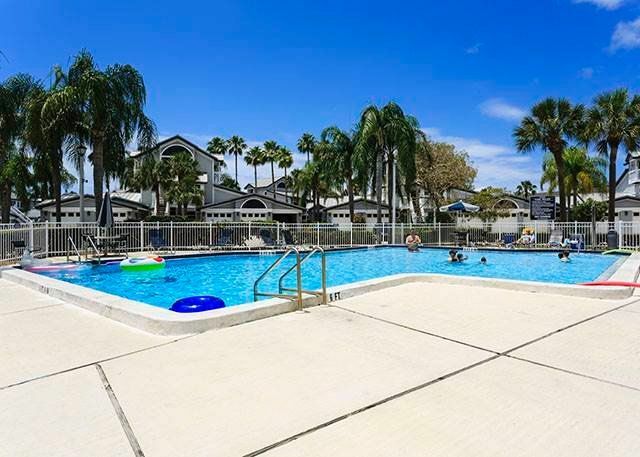 There is also a clubhouse with fitness center and sauna, a picnic area with gas grills, a fishing pier, and walking trails everywhere. The landscaping is gorgeous, with ponds and creeks abounding. You're going to have the vacation of your life! Mildew was the shower color! And the black dust bunnies hanging off the ceiling fans did not help!! For a weekly rental, you could have dealt with it. ...maybe...but that living room sofa and love seat were broken down as well!! Those chair seats on the sofa were there to help you...get comfotable?? NOT!! Very, very disappointed for our money spent! 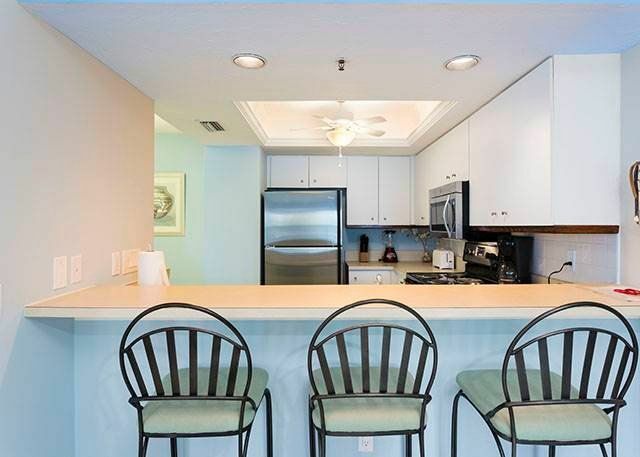 The condo supported the need for lots of rest, relaxation and fun in the sun. Enjoyed the pools within the complex and the walk to the beach. The beach was perfect! Condo was comfortable and provided a nice space for much needed rest.The condo supported the need for lots of rest, relaxation and fun in the sun. Enjoyed the pools within the complex and the walk to the beach. The beach was perfect! Condo was comfortable and provided a nice space for much needed rest. 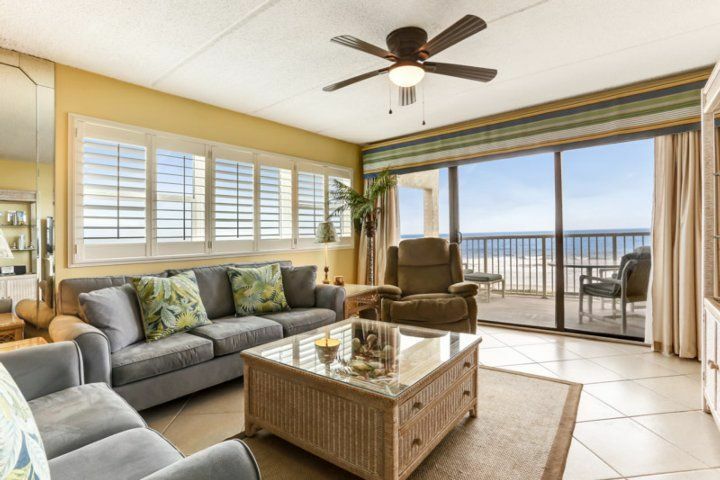 The condo supported the need for lots of rest, relaxation and fun in the sun. Enjoyed the pools within the complex and the walk to the beach. The beach was perfect!